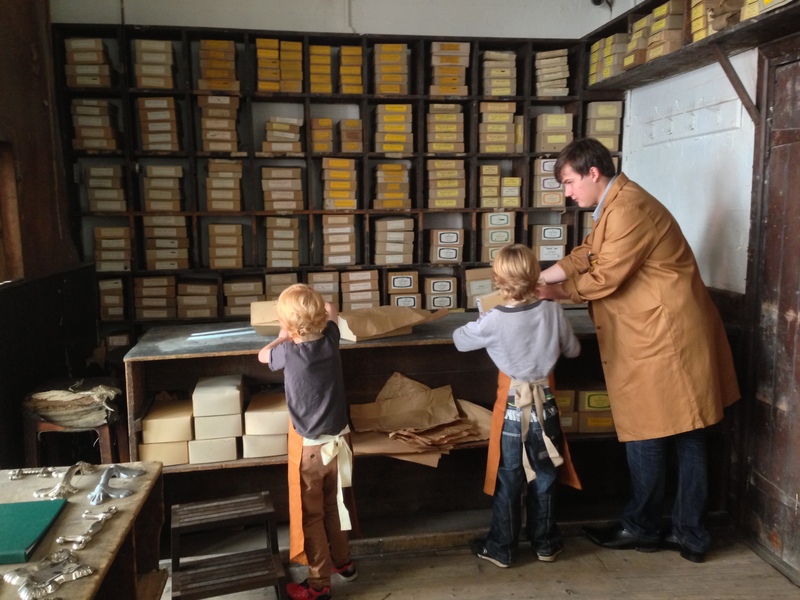 A visit to the Newman Brothers at the Coffin Works will allow you and your pupils to step back in time. 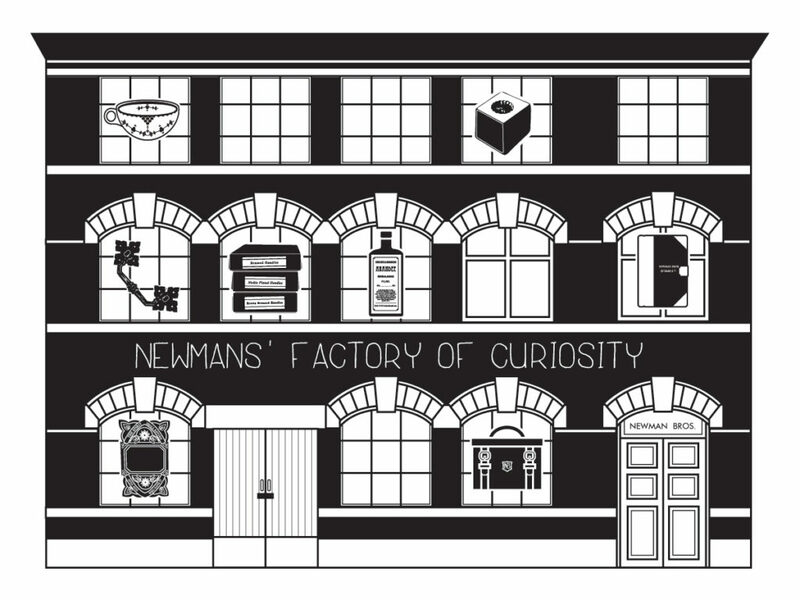 During your guided tour pupils will learn all about the Newman Brothers factory, the people that worked there, the manufacturing processes they used and the products that they made. They can even try their hand at some of the jobs which took place here. The interactive tour of the factory takes approximately 90 minutes during which you will see the shelves and workbenches full of original stock and tools and get a feel for how the company operated on a day to day basis. 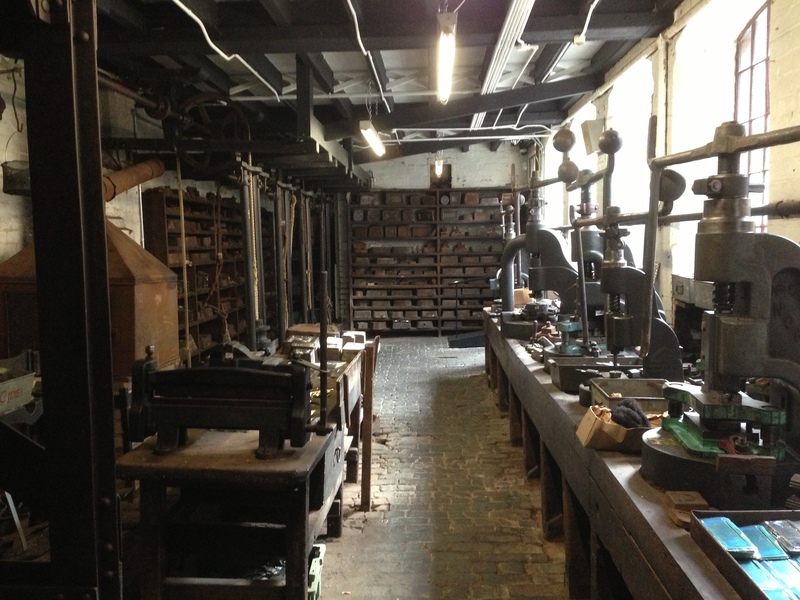 A visit to the Stamp Room will give you a chance to see the original factory machinery in action giving you a chance to experience the sights sounds and smells of the factory which remained largely unchanged since Victorian times. 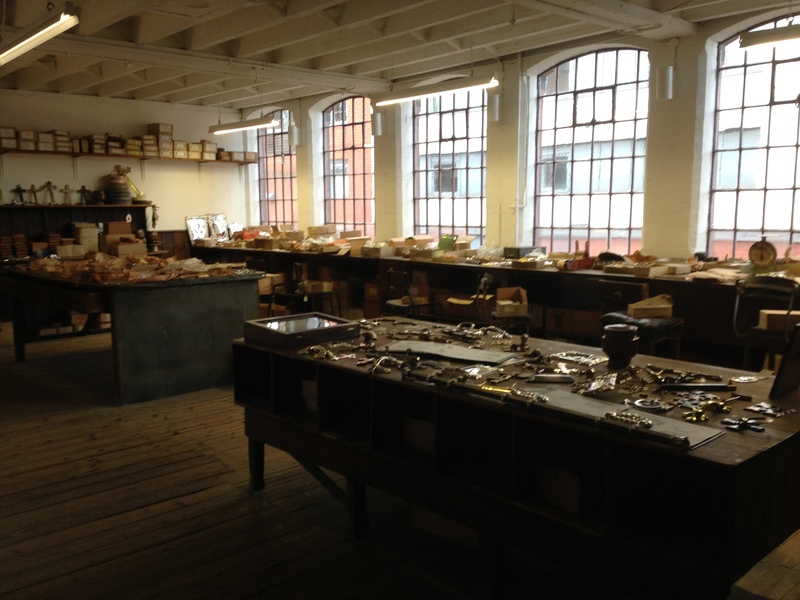 The Warehouse is a brilliant showcase for all the products which were produced here at the factory including some fittings used on very famous coffins including that of Winston Churchill. Explore the different materials and finishes which were used and see how the designs changed over time. 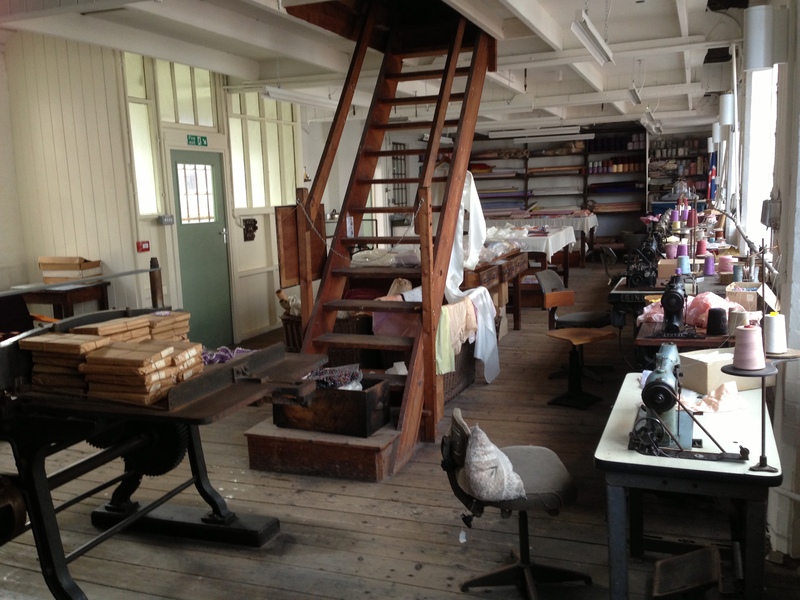 The Shroud Room will give pupils the opportunity to see the sewing machines which were used to produce the shrouds and coffin linings while hearing stories from some of the ladies which worked here. Also included in the school tour is a chance for pupils to handle real museum objects and learn about the role of museum curators. The children will help the ‘Collector of Curious Things’ to catalogue and research objects! Students are encouraged to be curious, motivated to ask questions, research answers, and respond creatively. For more information about the workshop, click here to see the schools resources on our NEW Collections Website! 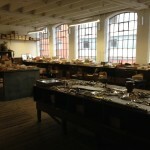 Please get in contact with our Museum Manager, Sarah Hayes, by email: sarah@coffinworks.org or telephone: 0121 2334785. 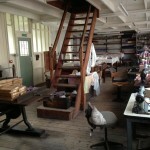 If you would like to have a free ‘familiarisation’ visit to the factory, then this can be arranged for you. When can you come ? Schools visits are available all year round. We are able to be flexible so do get in touch and we will do our best to accommodate you. Mondays and Tuesday are the easiest days for school visits, because we are closed to the public, but we can accept school bookings on other days too. Is it suitable for my class? We think that the site best suits the needs of Key Stage 2 and Key Stage 3 pupils but can tailor sessions for any group, and to different areas of the curriculum. We are also able to offer a specifically adapted Relaxed version of the session for students on the Autistic Spectrum, with a learning disability or sensory and communication disorder. Some of rooms are quite small so we like to limit group sizes to 15 but can run multiple tours simultaneously for larger groups. After making your booking we will put together an itinerary based on the needs of your group and the practicalities of the site. You can also combine a visit to Newman Brothers with another local visit to make a real day of it! Schools who visit us have combined visits with the Canal and Rivers Trust, Birmingham Museum and Art Gallery and The Pen Museum, which are all within walking distance of the museum. What areas of the curriculum does the museum support? Our school visits and learning resources can support a local heritage study in Birmingham, or can be used to help students explore British industry in the 19th and 20th centuries. Alongside teaching History you can use visits and classroom resources to support different curriculum subject and skill areas, including Geography, Maths, Design Technology, Religious Studies, Science and Creative Writing. For curriculum links and lesson plans, click here. £3.00 per pupil (plus VAT) for the standard 1.5 hour session (with tour and workshop). Prices for longer sessions will vary, please discuss with Sarah to arrange a session which suits your needs and budget. You can either pay on the day using cash, cheque or credit card or we are happy to invoice your school after your visit. We are also part of National Express West Midlands Class Pass scheme! Travel by bus to access special offers! We have a lift so any of your students who may struggle with the stairs will be able to access all areas of the site. We are keen to support a wide variety of learning styles and help any students which may have Special Educational Needs get the most from the visit. Please let us know when booking if you think that any of your students might require some extra help. How do we deal with issues surrounding bereavement? Teacher Blessed Edward Oldcorne Worc. We all had an excellent time at Newman Brothers and the visit is now feeding into our creative writing. It’s certainly something we’d like to repeat and develop in future years. We love working with schools and before the building was restored, and during the conservation works we worked with a few local schools. Here is a short film about our work with St. Edmunds R.C. Junior & Infant School in Hockley. Our public visitors seem to enjoy the time they spend with us too! To view our recent TripAdvisor reviews click here. We aim to provide the same high standard of customer care to our school visitors. We still have availability for this term. 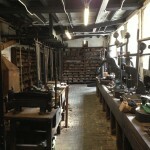 Where is Newman Brothers at the Coffin Works?